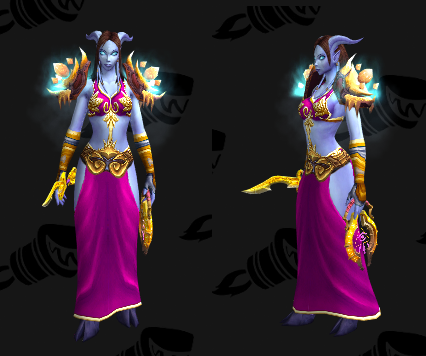 This entry was posted in Cloth, Mages, Pink and tagged alliance only by Cathedral. Bookmark the permalink. I’m glad you like it! The gloves are “Sterile Flesh-Handling Gloves,” which you should be able to track down on Wowhead.